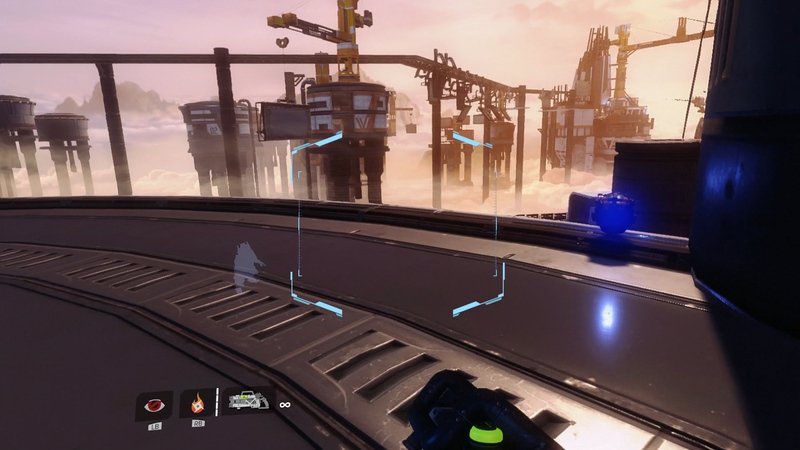 In Titanfall 2, achievement hunters can find in-game collectibles called Pilot Helmets throughout the campaign. Collecting all 46 Pilot Helmets will unlock the “Every Nook and Cranny” trophy/achievement. This guide will help you locate every Pilot Helmet in each campaign mission in Titanfall 2 so that you can collect them all. To track your progress, simply pause the game during a mission and look for the collectible tracker in the lower right corner. 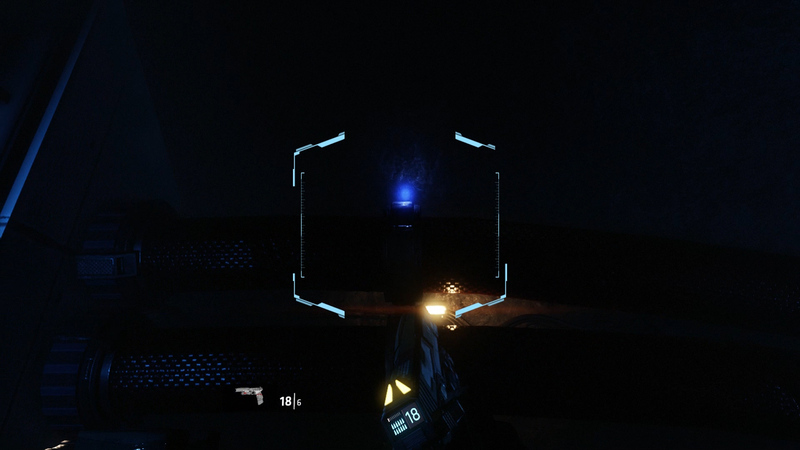 Each Pilot Helmet will be glowing blue, which makes them easier to spot. We've organized the Pilot Helmets by the mission they're found in, and we’ve included images of each Pilot Helmet to make the search a bit easier. Pilot Helmet #1 - Run through the timed Pilot Gauntlet trial until you are almost near the Finish gate. Look for a piece of broken pillar platform floating beside the left wall. Use the nearby platforms to hop up and reach this first collectible. Pilot Helmet #2 - Proceed through the BT-7274 mission until you receive the objective to acquire a charged Titan battery. 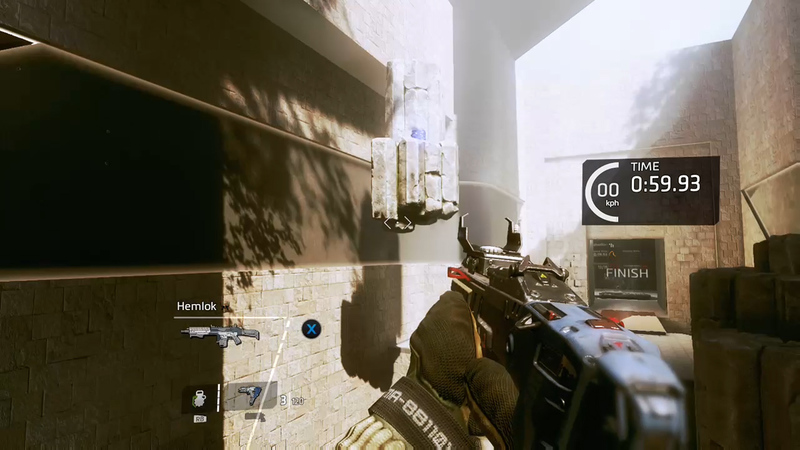 Follow the objective marker until you reach a spot where you can wall run right across a gap. 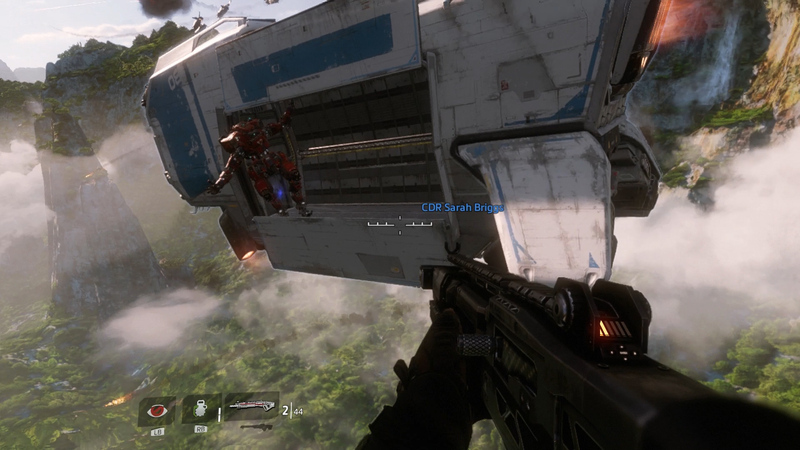 Look for a Pilot Helmet beside the drop pod ahead. Pilot Helmet #3 - Continue through the mission until you are prompted to find an additional battery for BT. 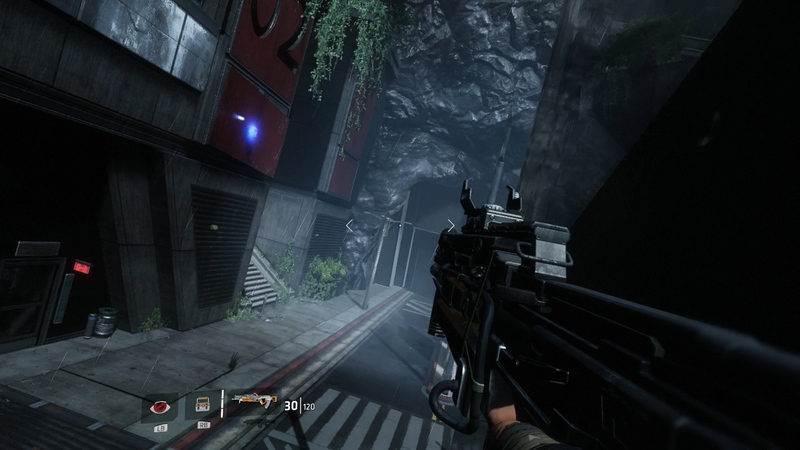 After grabbing the green battery canister, hop down the gap to exit the ship and head along the path outside. 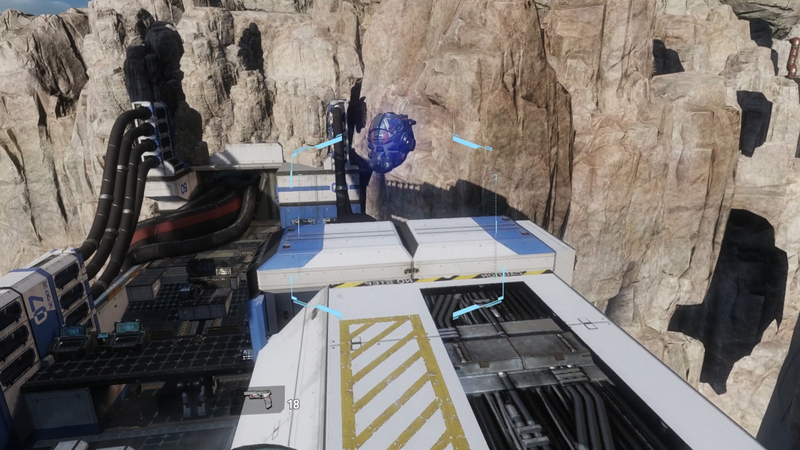 Look up at some debris sticking out of the stone cliff ahead to find the next Pilot Helmet. You’ll have to wall run and double jump to reach this one. Pilot Helmet #4 - This Pilot Helmet can be found inside the sewer tunnel in a caged area to the left behind some fencing. You’ll have to make your way over the top to get into this cage. Jump up onto a large pipe overhead that leads behind the cage, and drop down the opening at the far end to pick up this Pilot Helmet next to the fallen pilot. Pilot Helmet #5 - Continue through the chapter until you receive the objective to get to the Control Room and open the Flow Regulation Gate. Find the Control Room, but don’t go inside yet. Go toward the yellow wall across from the Control Room. Head up the steps and hop onto the pipes behind the second large vat. The Pilot Helmet is on top of this vat, so just jump onto the next pipe and wall run to reach the top. Pilot Helmet #6 - Complete the battle for the Control Room and proceed toward Sludge Falls. 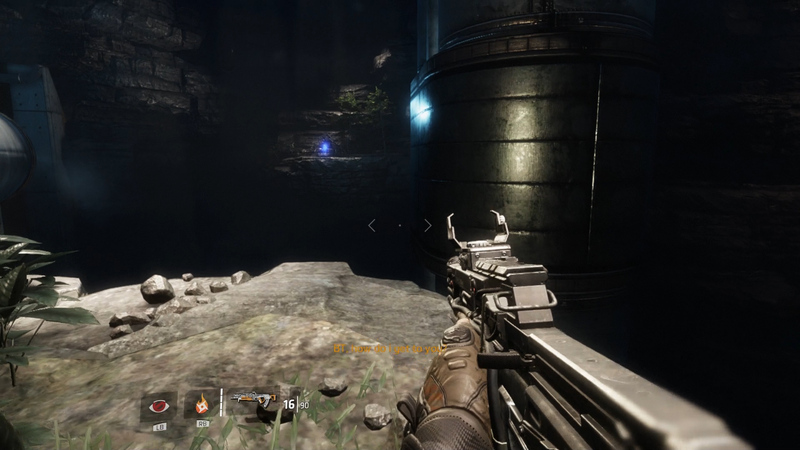 Proceed along the pipes to reach a room of allied forces. Just as you enter this room, look up to the left to locate a sectioned off walkway up high on the far wall. Hop onto the pipe immediately left of the entrance, then walk toward the walkway. 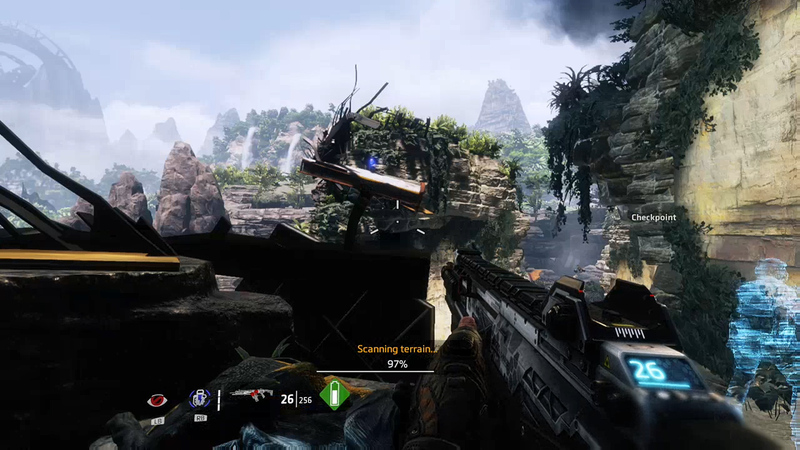 Double jump to reach the walkway, and collect the Pilot Helmet in the center. Pilot Helmet #7 - Proceed through the mission by helping your allies. Continue past yellow wall 03 to reach a room on the left that contains a corrosive, wet floor and a series of pipes. 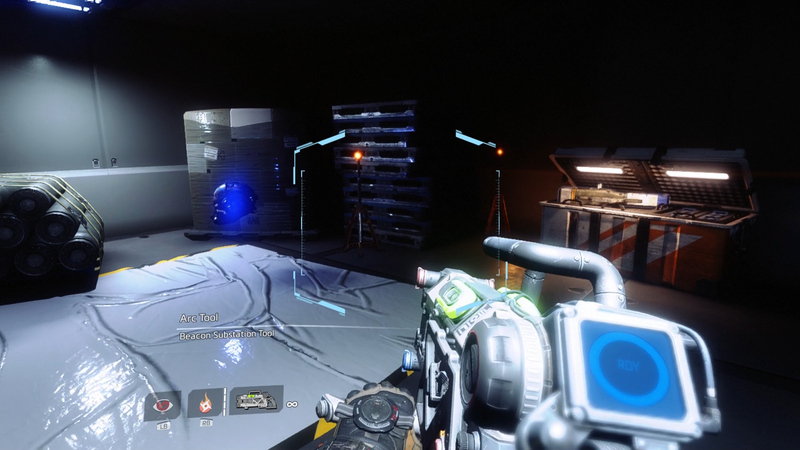 The glowing Pilot Helmet should be easy to spot on the far pipe in this dark room. 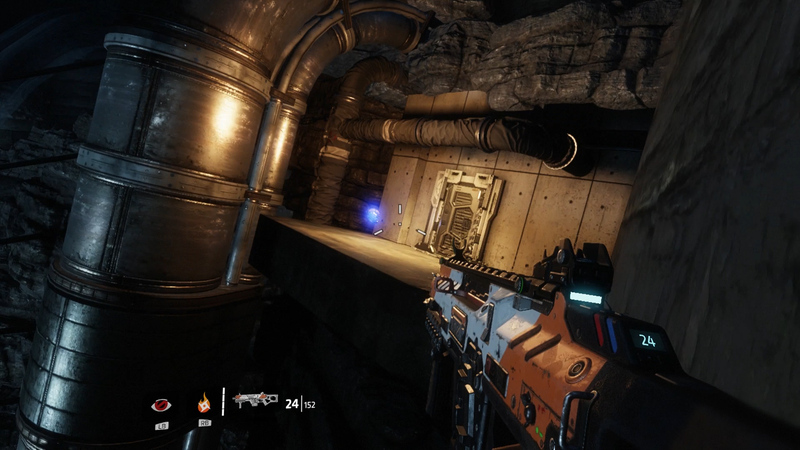 Wall run along the left wall, then jump just before you fall to reach the pipe and grab the Pilot Helmet. Don’t fall in the corrosive sludge! Pilot Helmet #8 - Make your way through the mission until you enter a room with yellow pipes, just after Zone B5. Jump up the yellow pipes to the left of the entrance, and run along the wall that has “Inlet 13” printed on it to reach the highest yellow pipe. Face toward the Inlet 13 wall to spot a Pilot Helmet on the railing of the upper walkway. 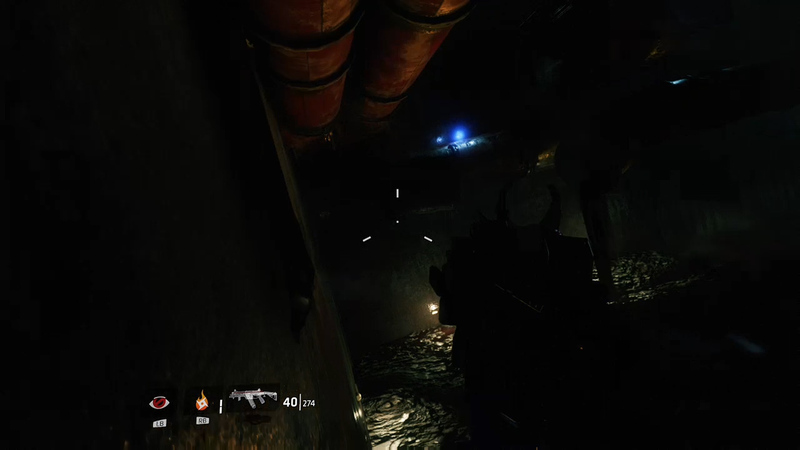 Wall run and double jump to reach the walkway and take the collectible. Pilot Helmet #9 - The last Pilot Helmet of this mission is in the next room after #8 that has a waterfall of sludge. Wall run and jump your way up the pipes toward the exit. Before you go, look toward the top of the higher sludge waterfall and you’ll see the last collectible. 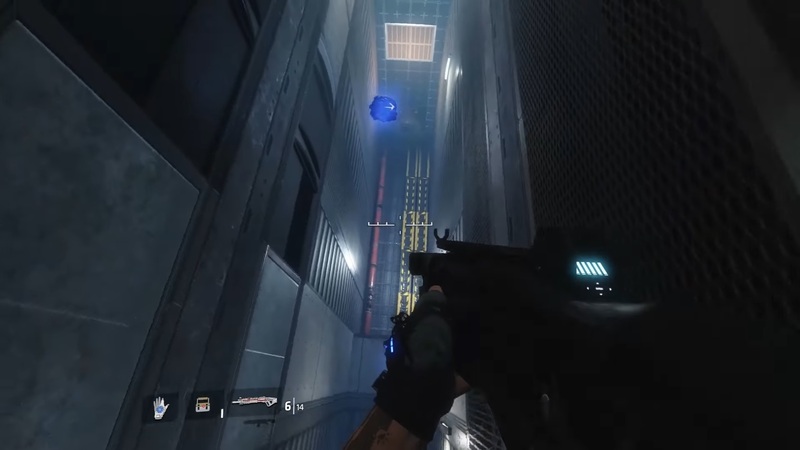 Run along the wall to get momentum, then jump and grab the Pilot Helmet, landing on the walkway on the other side. Pilot Helmet #10 - Begin the mission and make your way past the waterfall into the cave lagoon. 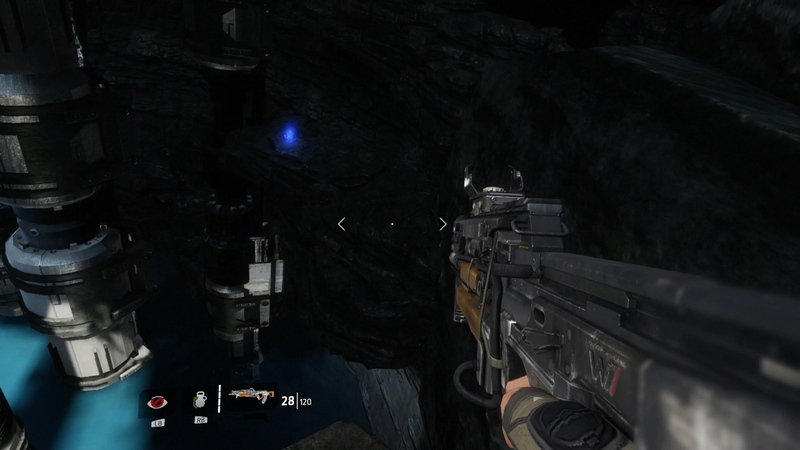 There is a Pilot Helmet inside a small alcove to the right of the cave entrance. Exit BT to retrieve the collectible. Pilot Helmet #11 - In the same area as where you found the previous helmet, head across the water to the left side of the lagoon and go through a crack in the rock wall leading to another open area. Jump across the gap to the right onto the adjacent platform. 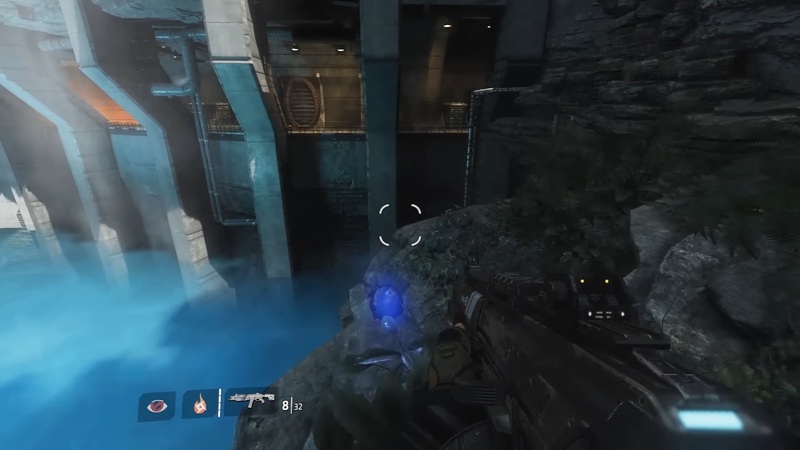 The Pilot Helmet is at the edge of the ledge. Pilot Helmet #12 - Continue until you reach a room with moving tracks along the ceiling. Eliminate the hostiles, then make your way to the rock wall on the other end of the area. Look for a pair of pipes running along the top of the wall. Hop up onto the outcroppings on the wall to get up behind the pipes. Follow the single pipe around the right corner to find the next Pilot Helmet. Pilot Helmet #13 - Proceed until you receive the objective to raise the cargo lift. The Pilot Helmet is beneath the landing pad. Before going to the cargo lift, drop down onto the rock platform on the left side, and make your way down the rocks to get underneath the landing pad. You’ll see the Pilot Helmet sitting on a lower platform just above the water. Pilot Helmet #14 - The next set of Pilot Helmets are found after BT gets carried off by the crane. 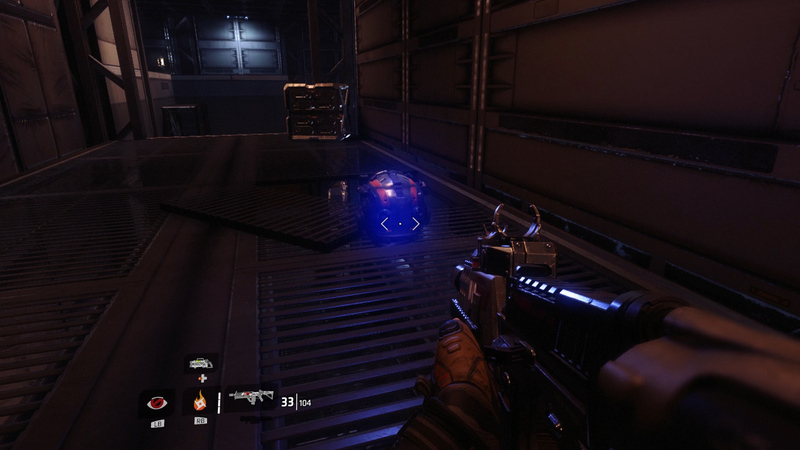 This collectible is in the area with the pipes running along the walls, after you are separated from BT. Run along the pipes, and look out for a Pilot Helmet across the gap on the right. It will be on a rock platform in the distance. Double jump to grab the ledge and climb up to get the collectible. Pilot Helmet #15 - Proceed to reach the room with the assembly line. Jump up the metal walkways and ascent the stairs to the upper level, or ride the large platform lift. Look up at the pipes that run along the ceiling to spot a Pilot Helmet close to a wall. There will be a crate that says Werneck underneath. Wall run to reach the top of the pipe and grab the helmet. Pilot Helmet #16 - Continue through the mission to reach the part where everything is sideways. Head toward the waterfall and hop down onto the metal walkway. 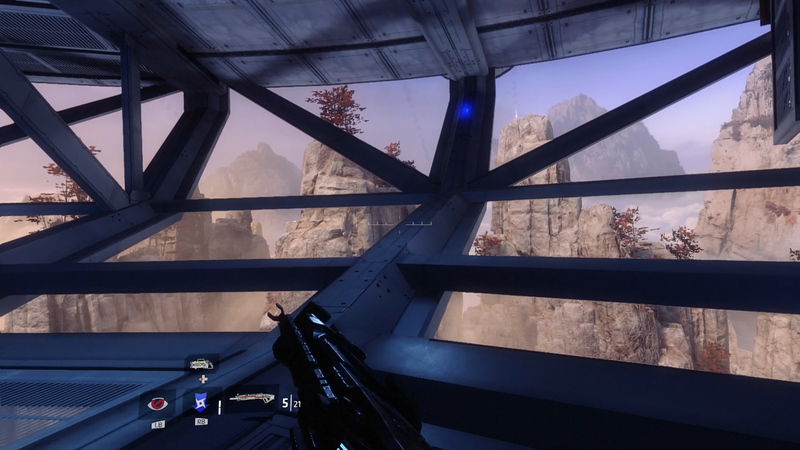 Past the waterfall is a platform with a door and the Pilot Helmet on top. 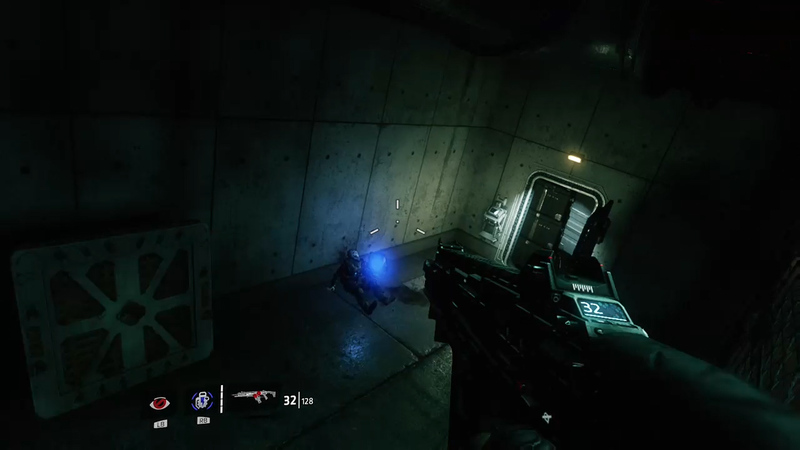 Wall run to reach the platform and take the collectible. Pilot Helmet #17 - There are two pilot helmets in this last part of the mission after you escape the dome. The first is found in a room with several large columns. Look for the one labeled as Column 83. 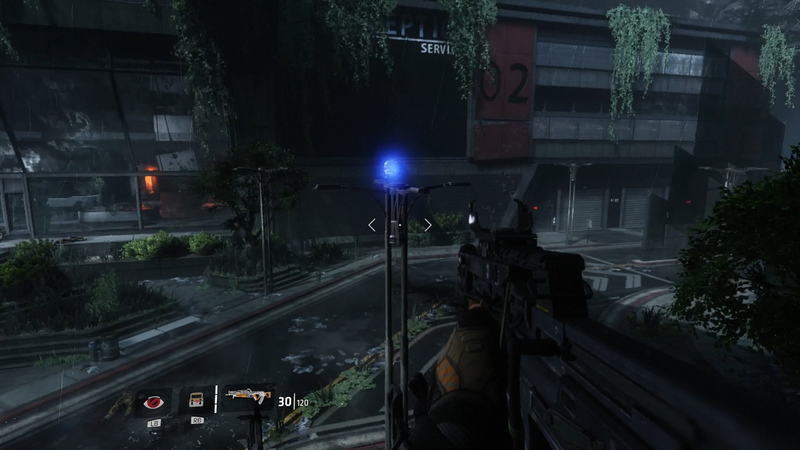 Press the green button to eject a series of containment pods around the outside of the columns. 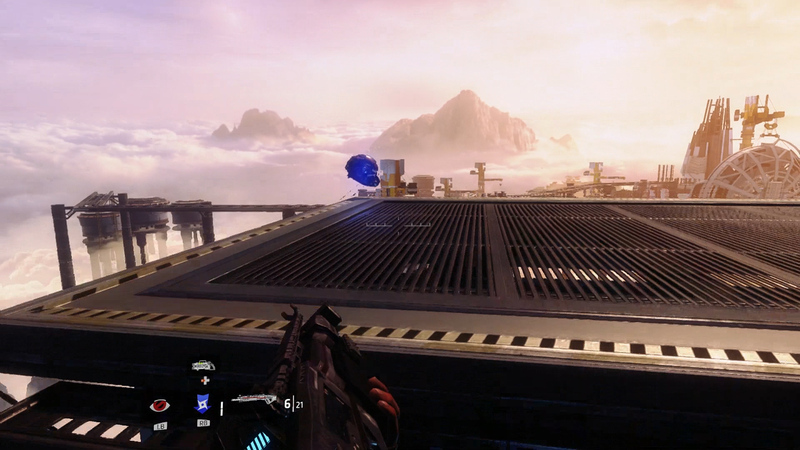 Hop up the pod platforms to find one that has a Pilot Helmet floating on top. Pilot Helmet #18 - Once you are given the objective to regroup with BT, continue toward the area with large panels moving across a chasm. 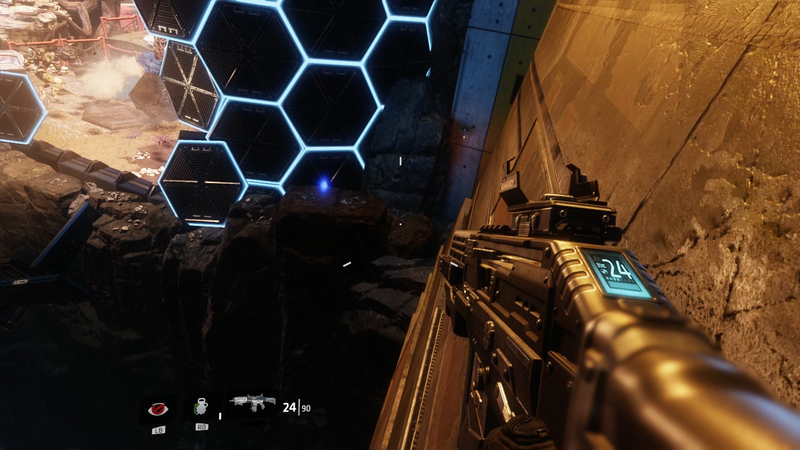 Across the chasm is a Pilot Helmet on a ledge just before the hole in the hexagonal wall. Time your jump so that you can wall run across one of the moving platforms to reach the other side of the chasm. Grab the helmet before finishing up the mission. 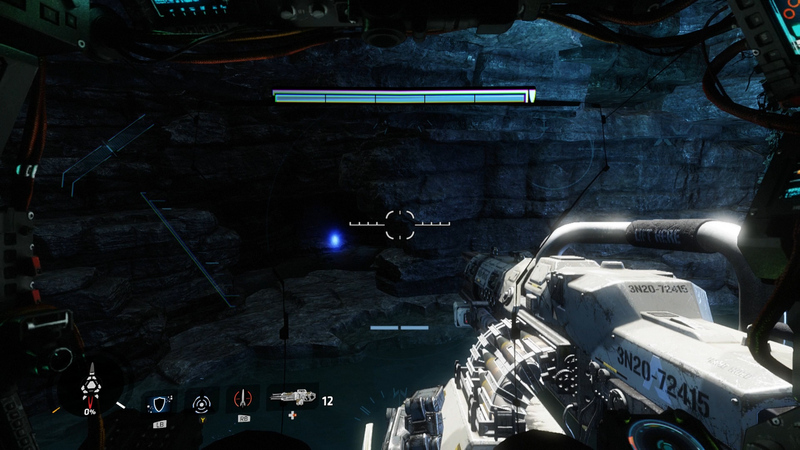 Pilot Helmet #19 - When tasked with searching for Major Anderson, look down from the cave to spot a Pilot Helmet in the middle of the lower area, floating outside a red wall with “02” written on it. Drop down from the starting point and wall run to reach this collectible. Pilot Helmet #20 - From the previous collectible, proceed toward BT. Along the way, there will be a Pilot Helmet sitting on top of a light pole outside the Reactor Facility. 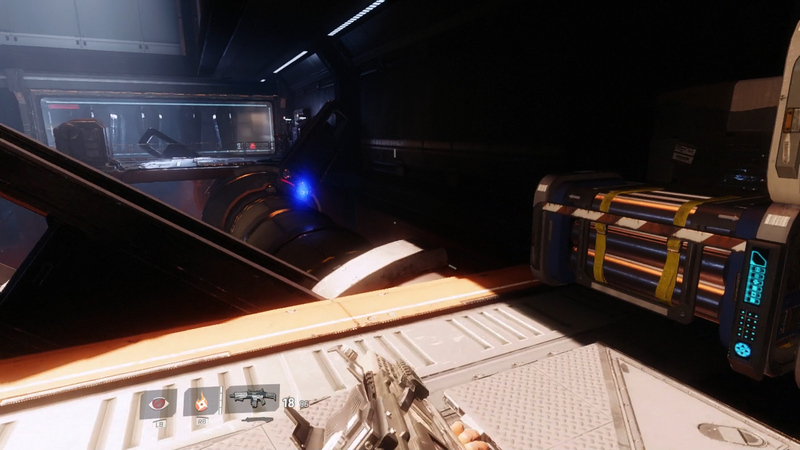 Hop onto the outer doorway and jump to reach Pilot Helmet #20. Pilot Helmet #21 - Proceed to the next part of the Effect and Cause mission until you are tasked with searching the complex for intel. The Pilot Helmet is near the top of the large, narrow elevator shaft in the past. Wall jump between the two walls to make your way to the top, then grab the helmet before falling back down. Pilot Helmet #22 - This Pilot Helmet is in the Amplification Casing Research area, which will have a hallway with a floor currently engulfed in flames. 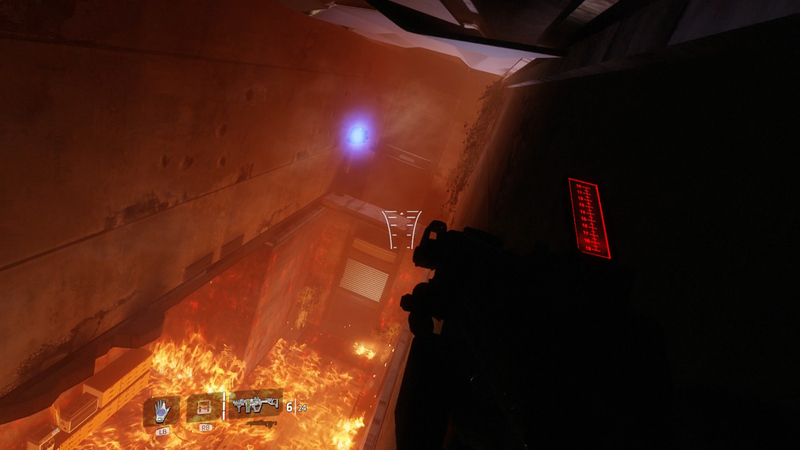 Of course, the Pilot Helmet is floating above the flames at the opposite end of the hallway. Wall jump between the walls to go over the flames and reach the helmet. 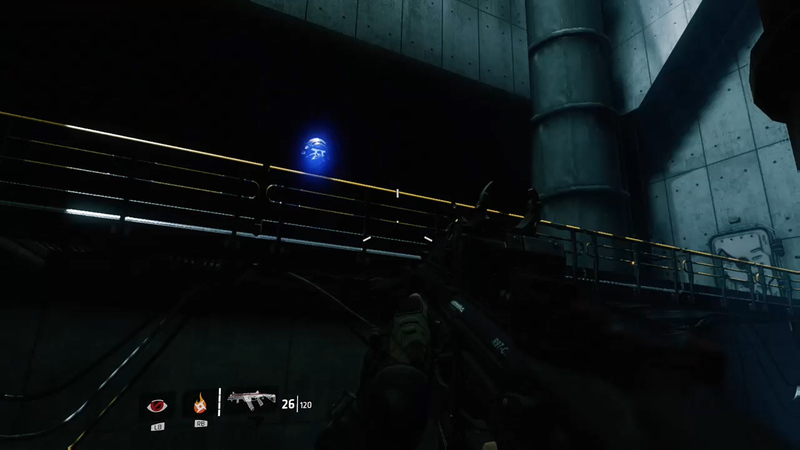 Pilot Helmet #23 - Continue through the hallway toward the cryo facility. 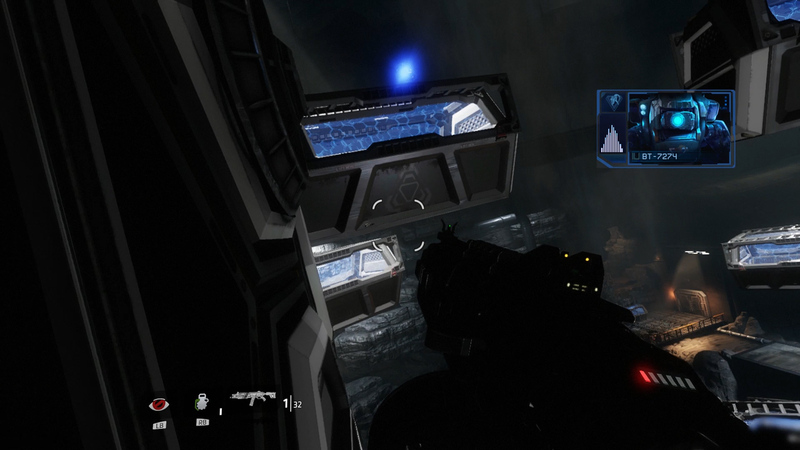 After speaking with the hologram, go through the corridor past a set of three turrets. Beyond the turrets is a large cylinder platform suspended from the ceiling. Switch to the present, jump up onto the platform, then swap to the past to get the Pilot Helmet inside. Pilot Helmet #24 - Continue until you reach the large cryo storage chamber. The Pilot Helmet is on a platform to the left, in the present. Switch to the past to hop onto the adjacent platform. As you jump to the platform with the collectible, switch to the present to form the platform and grab the helmet. 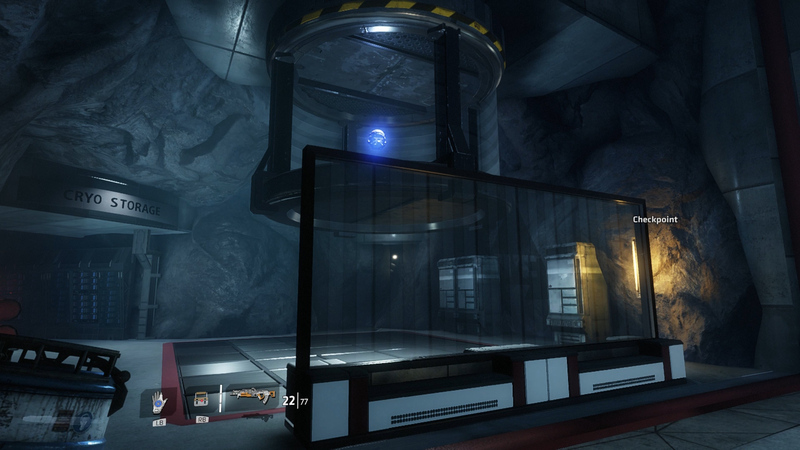 Pilot Helmet #25 - This next helmet is found near the exit of the cryo storage area. It will be floating high up between a pair of walls beside a zipline, but you will only see one wall at a time. 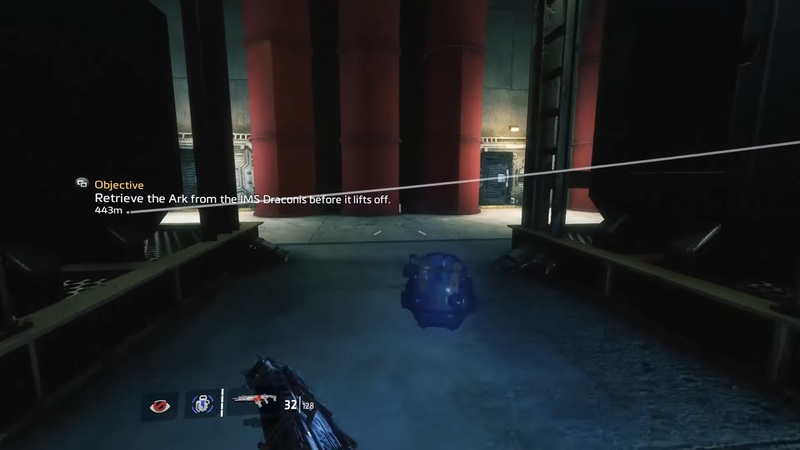 You must flip between past and present to wall jump between the pair of walls and reach the collectible. It’s okay if you fall, as long as you grabbed the helmet first. Pilot Helmet #26 - This last helmet of Effect and Cause is found near the large window just beyond where the previous collectible was located. This one is seen in the present. Make sure to activate the bridge first using the green panel. 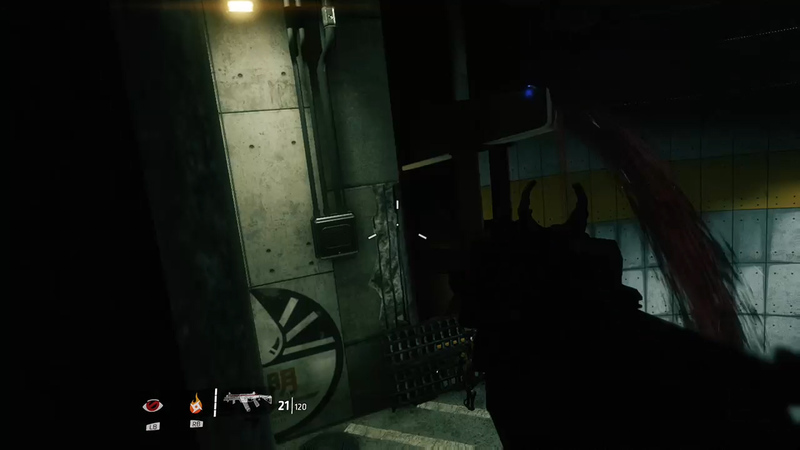 Wall run to clear the gap and grab the collectible before landing on the opposite platform. Pilot Helmet #27 - Eliminate the enemies in Substation 3. The Pilot Helmet is on the center of a rotating propeller platform on the right. Keep hopping as you go across the platform to grab the helmet in order to counteract the propeller rotations. Pilot Helmet #28 - When you retrieve the arc tool, use it to activate a large wind turbine-like room that sends you upward after shooting its hatch. 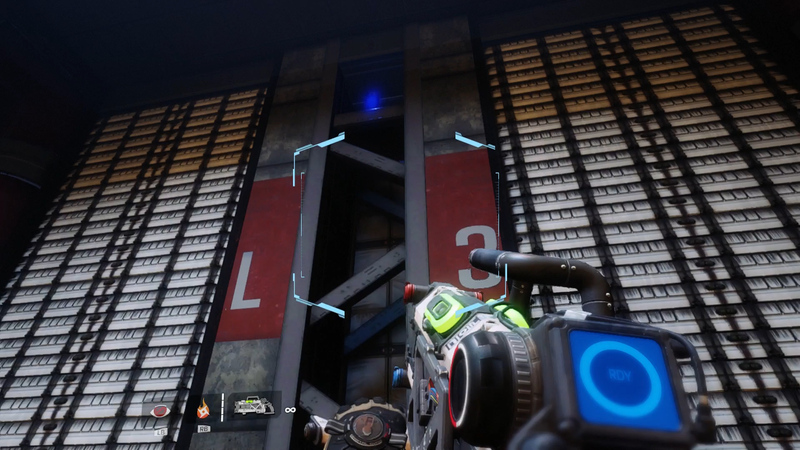 As you reach the top, look for a Pilot Helmet in a small space above the wall that has an L and 3 on it. Pilot Helmet #29 - Continue toward the Beacon. BT will scan for a module. 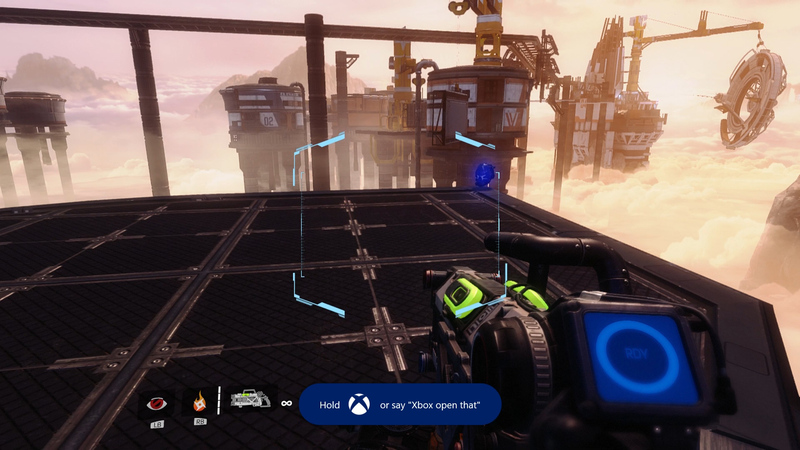 Before BT flings you over the gap, you should first grab the Pilot Helmet off the center platform near the blue lightstream by jumping along the side columns to reach the top. Pilot Helmet #30 - While on top of the beacon platform where you found #29, look toward another column in the distance to find the next Pilot Helmet. Wall run from the corner of the platform and jump across the gap to reach the column. The collectible is on the outer corner. Pilot Helmet #31 - Let BT throw you across to the work station. Use the arc tool to shoot open the locked door on the right. You’ll find a small room with a Pilot Helmet inside. Pilot Helmet #32 - Continue by wall running to the next platform. Jump to the cylindrical elevator station that says "02" on the left and go up the outer steps. Use the arc tool to open the door. Go upstairs and cross the bridge to reach the adjacent cylindrical structure outside. 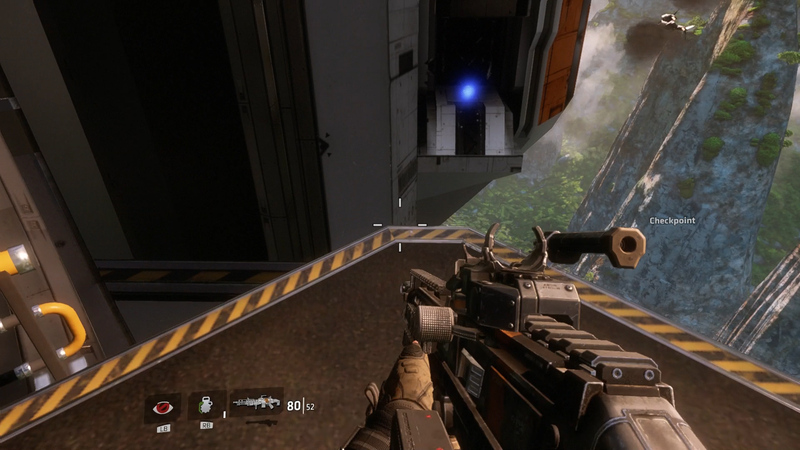 Jump up the boxes to the left of the door to reach the top and grab the Pilot Helmet. Pilot Helmet #33 - Look for this Pilot Helmet before reaching the two cranes. Operate one of the cranes at the control station to align the sideways panel with the platform on the left. 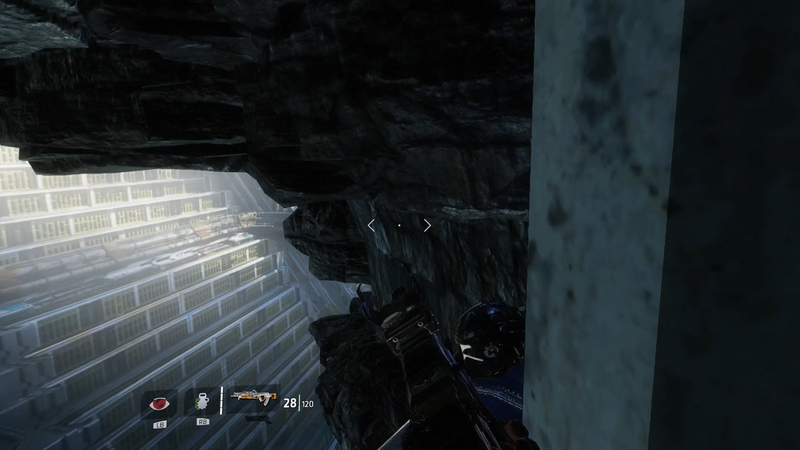 Wall run to reach the white rooftop and snag the Pilot Helmet. Pilot Helmet #34 - Make your way to the construction area of station 04. Enemies will lock the door as you approach. 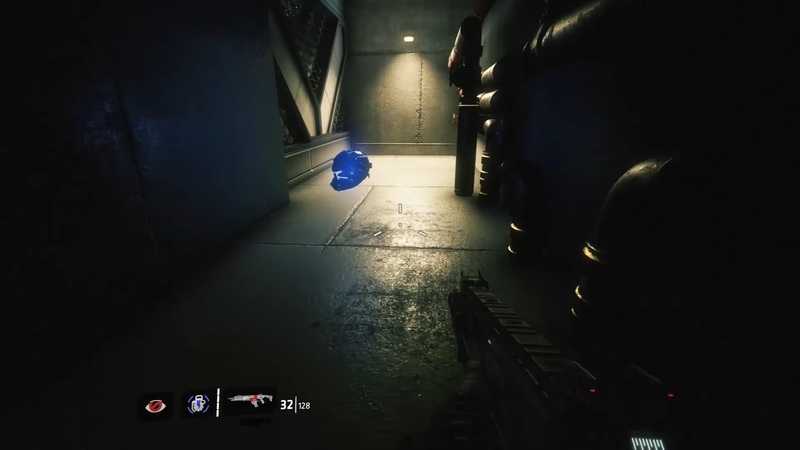 Before wall running across to deal with the enemies, jump up and climb onto the ledge above the door to find another Pilot Helmet. Pilot Helmet #35 - Locate the building labeled Beacon 04, which contains the dish controls. Scale the outside of the structure to reach the rooftop. At the far-right corner of the roof, you’ll find the next Pilot Helmet. Pilot Helmet #36 - After getting thrown by BT once again, walk up the stairs on the platform ahead. Keep an eye out for a Pilot Helmet on the left corner halfway up the staircase. 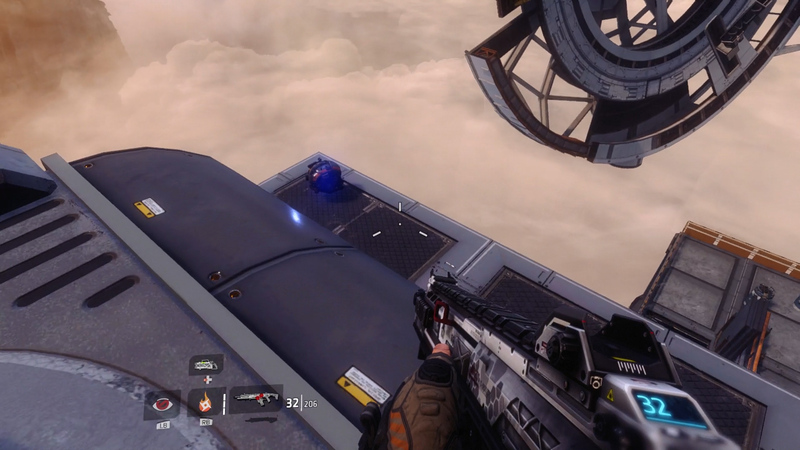 Pilot Helmet #37 - The last Pilot Helmet in this mission is found along the base of the dish. Continue up the stairs from #36 to reach the upper platform beneath the dish. Look for a Pilot Helmet at the end of one of the support beams on the right that goes around the platform perimeter. Pilot Helmet #38 - The Trial by Fire mission contains three Pilot Helmets that are relatively easy to secure. 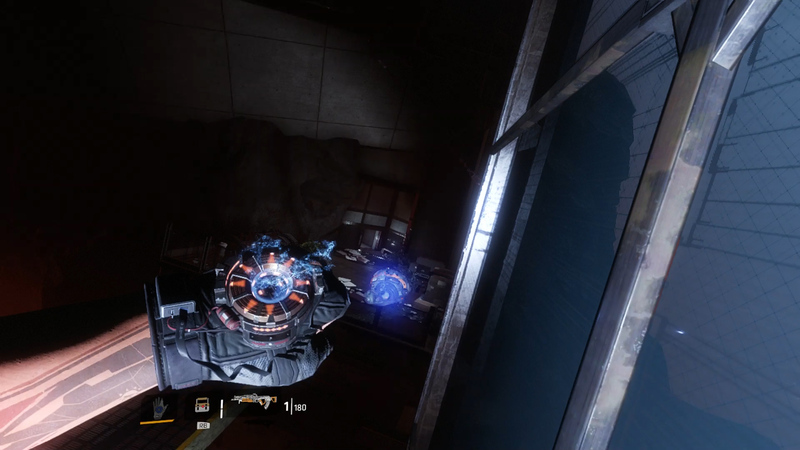 As you team up with Commander Briggs at the start of the mission, locate the first Pilot Helmet in the room with the generators. The Pilot Helmet is on the generator platform to the left beneath the red ceiling pipes. 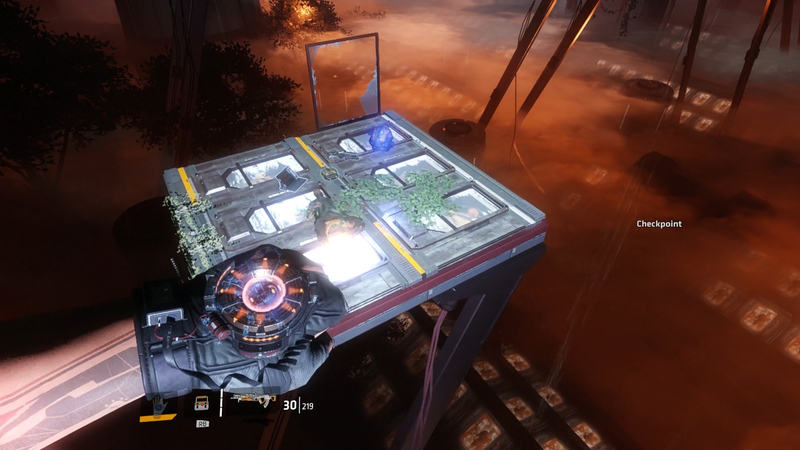 Exit BT and climb onto the generator platform to collect the helmet. 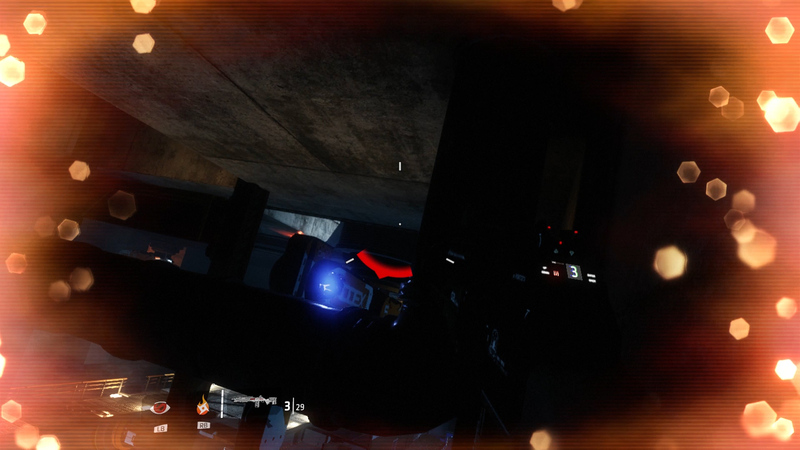 Pilot Helmet #39 - Hold off on following Commander Briggs when she mentions the lift up ahead. Instead, look for a yellow pipe running along the ground into a hole in the wall between a pair of containers. Enter the crawlspace and climb up when you reach the end to find the next Pilot Helmet. Pilot Helmet #40 - Proceed to take the lift with Briggs. Once at the top, head forward along the outer walkway. Exit BT before it takes a turn to the left. Go down one of the staircases on the right and look for a Pilot Helmet above an overhead pipe. Jump up to grab it. Pilot Helmet #41 - The first Pilot Helmet of The Ark mission is found on an outer part of the ship, in a small alcove. 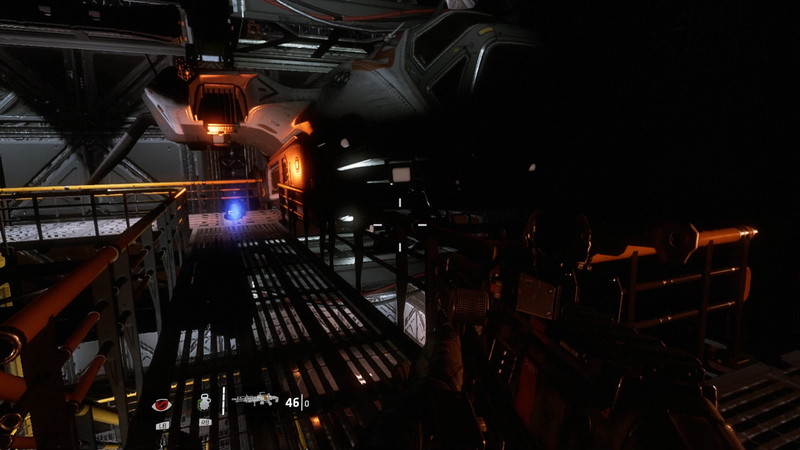 Enter the deck of the transporter ship and go through the opening on the right. 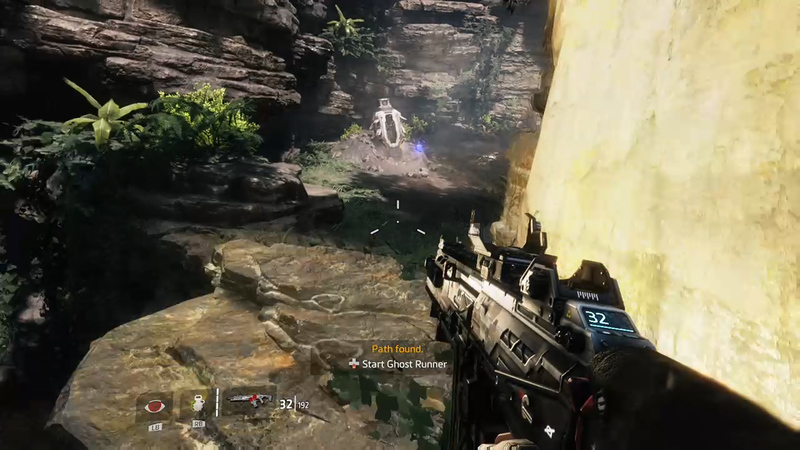 Either run past the enemies or dispense of them first before going for the Pilot Helmet. You can double jump from the platform near the window to reach this collectible. Pilot Helmet #42 - This Pilot Helmet can be difficult to collect, since you will have a limited time to get it. When Commander Briggs pulls up next to the transport ship, you’ll see a glowing Pilot Helmet hanging on the door just behind her Titan. 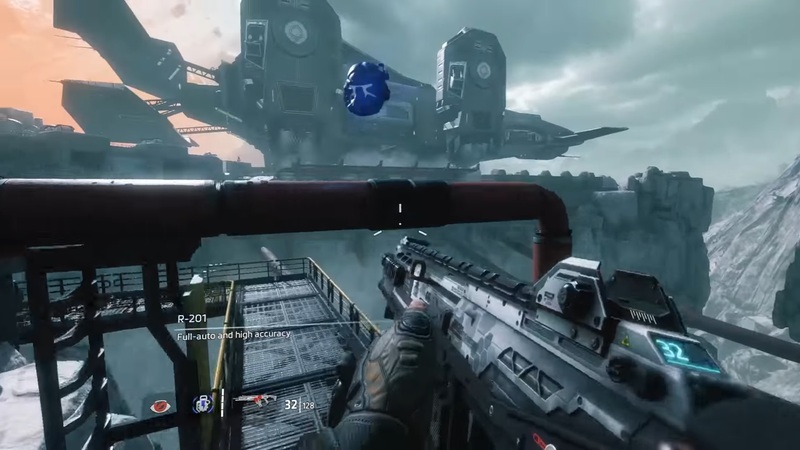 Jump onto the ship with Briggs. This is easier said than done, as you will likely fall a few times before making it. Grab the collectible before the door closes. Pilot Helmet #43 - Clear out the enemies on the main deck. Ignore the tall zigzag-stairs on the left for now. Simply run all the way to the other end of the walkway. There’s a Pilot Helmet on the left just beneath the wing of the last aircraft. Pilot Helmet #44 - Proceed through the mission until you reach the outside area that contains a large power grid. Locate building A30 and make your way up to its rooftop. Watch out for the turrets in the windows. 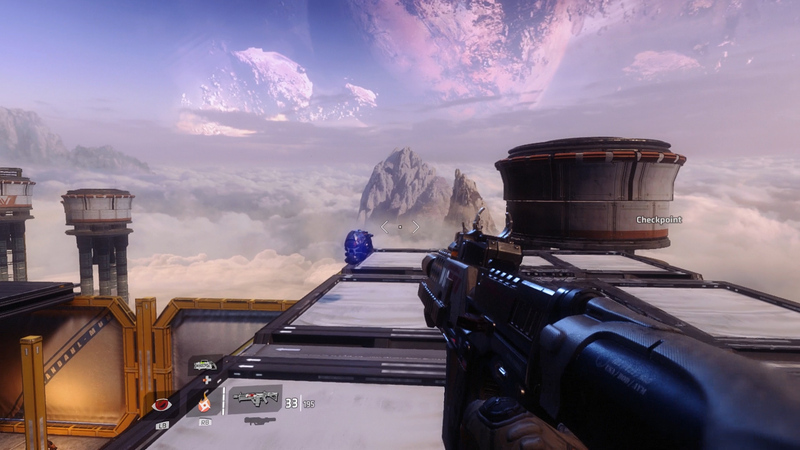 Once at the top, you’ll find a Pilot Helmet sitting at the end of a platform that protrudes over the edge. 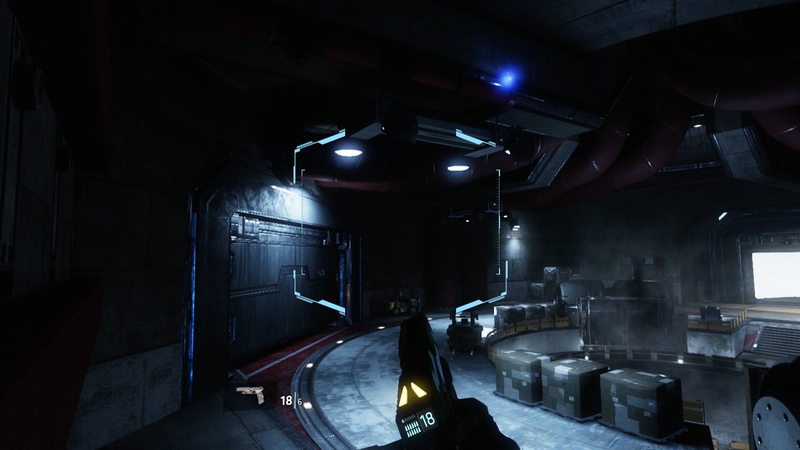 Pilot Helmet #45 - Continue through the mission to reach the generator room inside the main facility. There's a Pilot Helmet up high on the opposite end of the room. 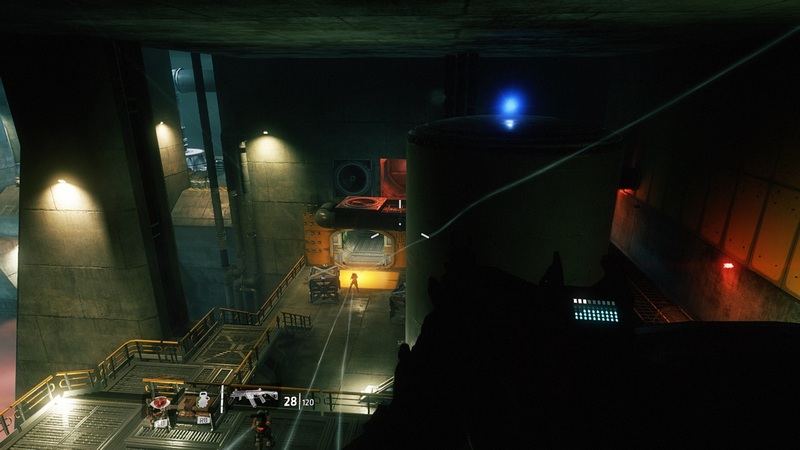 Go to the back left corner and climb up the stack of containers to reach the red pipe that runs along the wall. Walk across the wall pipe, then onto the pipe that holds the collectible in the center. 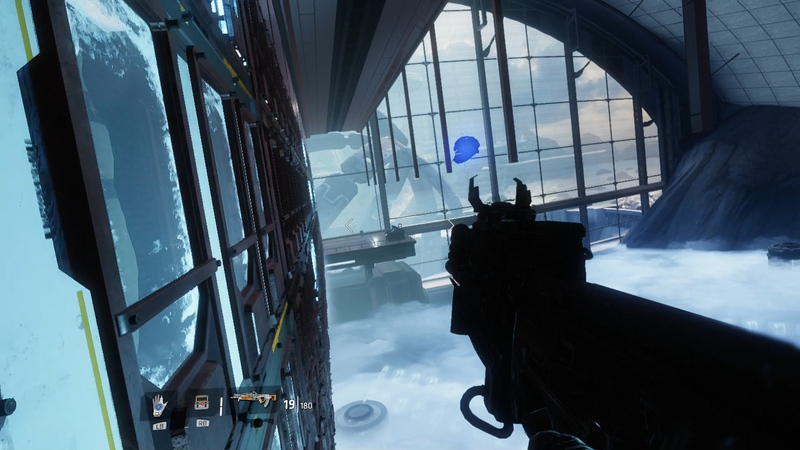 Pilot Helmet #46 - The final Pilot Helmet is located in the blue-hued schematics room. Enter the room and go up the stairs. 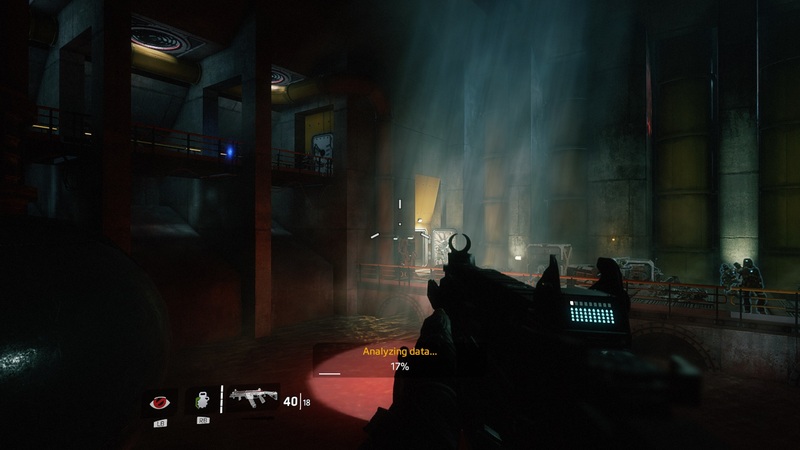 Exit BT to jump up to the higher level, then locate a series of pipes in the back right corner of the room. The Pilot Helmet is found atop the highest pipe. Simply jump and climb up to grab the last collectible. After collecting all 46 Pilot Helmets in Titanfall 2, the "Every Nook and Cranny" achievement/trophy will unlock. 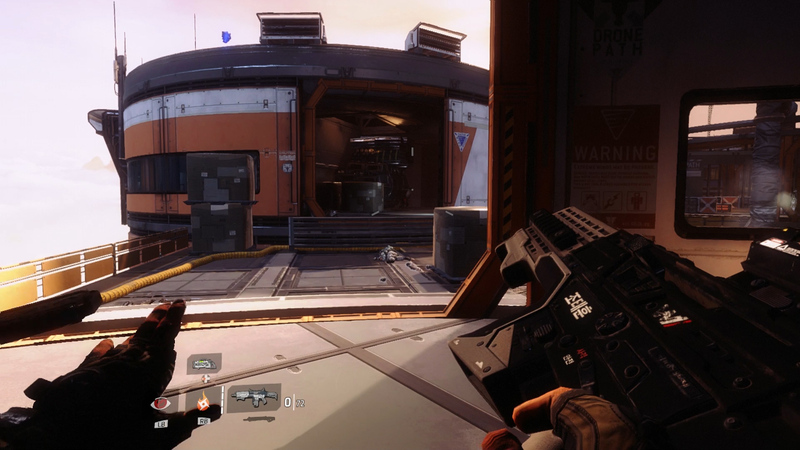 For more Titanfall 2 coverage, check out our guide on how to use Boosts.